Throughout childhood, belief systems are created that then silently influence us throughout life. What a child consistently hears, sees and feels shapes their view of the world and how they see themselves within it. However, throughout pivotal moments in life, feelings can also get anchored to events or circumstances which can then be triggered later in life and impact on how we respond to certain situations. Have you ever heard a song and it has instantly taken you back to a certain time in your life and stirred up old feelings? This is because the event and emotions that you felt at that time have been anchored to that song. Every time you hear it, your subconscious mind instantly transports you to that moment and triggers the same emotional response within you. The same thing can happen with pivotal moments in life. If a child has a bad experience transitioning between settings, this could anchor negative emotions which are then triggered in similar situations in the future. This is why it is so important to make the transition between settings as smooth as possible so that children associate change with positivity. For a person to access their brilliance and to fulfil their potential, they will have to go through change and step out of their comfort zone. If negative emotions are anchored to change in early childhood, these feelings can then be triggered by similar events in the future and this can hinder a person’s ability to step forward in life. The transition between settings is often one of the biggest changes children will encounter. If they experience anxiety throughout this time, there is a chance that their subconscious mind will link negative feelings to transitions like this in the future. The fear of the unknown is linked to anxiety so it is important to prepare children and create a familiarity with the process. By taking children to visit their new setting, it allows them to become familiar with their surroundings and meet their new teachers/key workers. Taking pictures of their new setting and creating a scrapbook will allow them to keep the image of where they are going fresh in their mind. It will also allow parents and practitioners to talk about the setting and the different scenarios that will take place there. Another lovely idea to help reassure children who are new to your setting is to get your existing class/group to write letters to the new starters. If they are too young for this, they could make cards. This is a fantastic way for children to feel welcomed and to see that other children who have been through the same experience have settled and had a wonderful time. Storybooks about starting or leaving settings are one of the best ways for children to process thoughts and feelings because they can identify with the characters and also feel reassured by their experiences throughout the book. Stories also encourage communication and act as a talking point, which again gives children the opportunity to talk about how they feel being in the same situation. My own daughter is leaving pre-school and starting ‘big school’ soon which has inspired me to create a range of ‘settling in’ and ‘transition’ books that can be given as welcome and leavers’ gifts. These little books have a story about different characters starting or leaving their setting. The character goes through different emotions but ultimately is okay. This not only reassures children that they too will be okay, but also supports emotional well-being because again it takes away the fear of the unknown. Stories are even more powerful if they are personalised because, by having your setting’s name and logo on the cover, it allows children to feel like this is directly linked to where they are going and adds an extra layer of familiarity, which reduces anxiety. 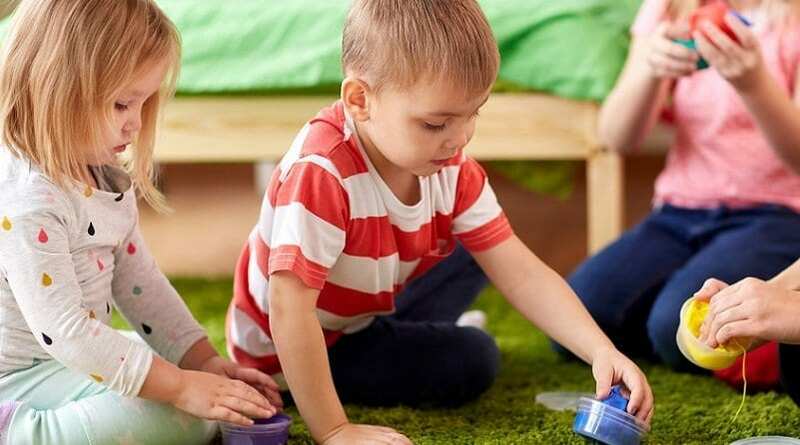 There are many other ways to support children through the transition between settings, but whatever we decide to do as practitioners or parents it is important to understand the impact that the transition between settings can have on our little ones now and in the future. By making this process as smooth as we possibly can, we are not only supporting their emotional well-being but also creating positive emotional anchors linked to change that will serve them well in the future. 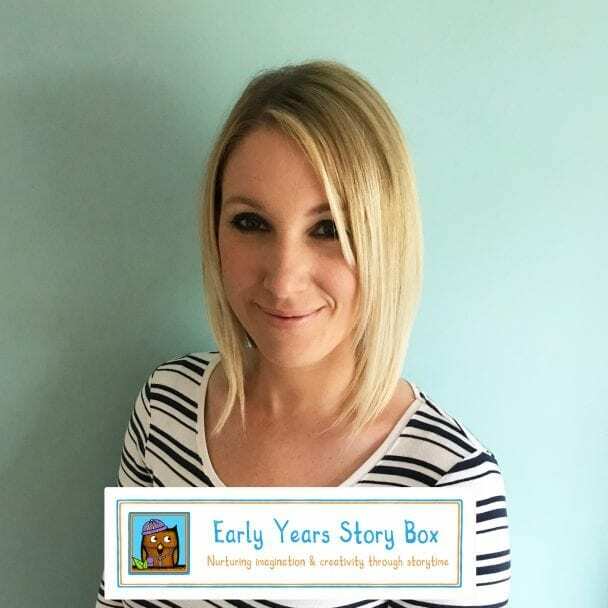 Visit the online shop at Early Years Story Box to see the full range of settling in and transition books (personalisation available) and use the code PARENTA10 to get a 10% discount!